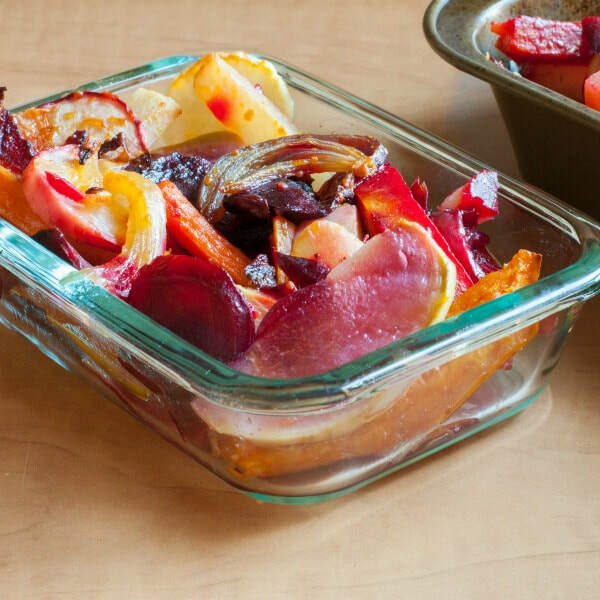 ​We love root vegetables at SNAP4CT! They're budget friendly and last a long time. What could be better? Not sure which root vegetables you like? That's alright! Try adding some different veggies like turnip or rutabaga in with ones you already like, such as potatoes and carrots. Add your own seasoning blend and you have a delicious side dish the whole family will love. 4 root vegetables, choose a variety from potatoes, rutabagas, turnips, parsnips, beets, sweet potatoes, etc. Place in a medium bowl and pour oil over top. Add seasonings or Parmesan and mix well. Spread an even layer on a baking sheet. Bake for 1 hour or until tender. Check a few vegetables to see if they are tender. *Nutrition information includes a mixture of potato, sweet potato, rutabaga, and beets in analysis.